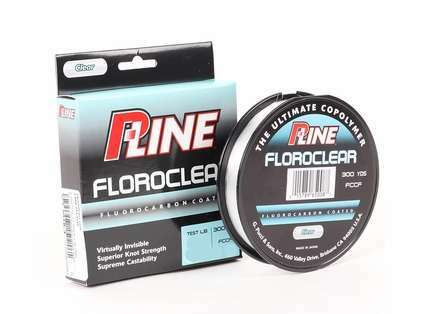 P-Line Floroclear copolymer line is virtually invisible due to its fluorocarbon coating that gives anglers the ultimate stealthy presentation. 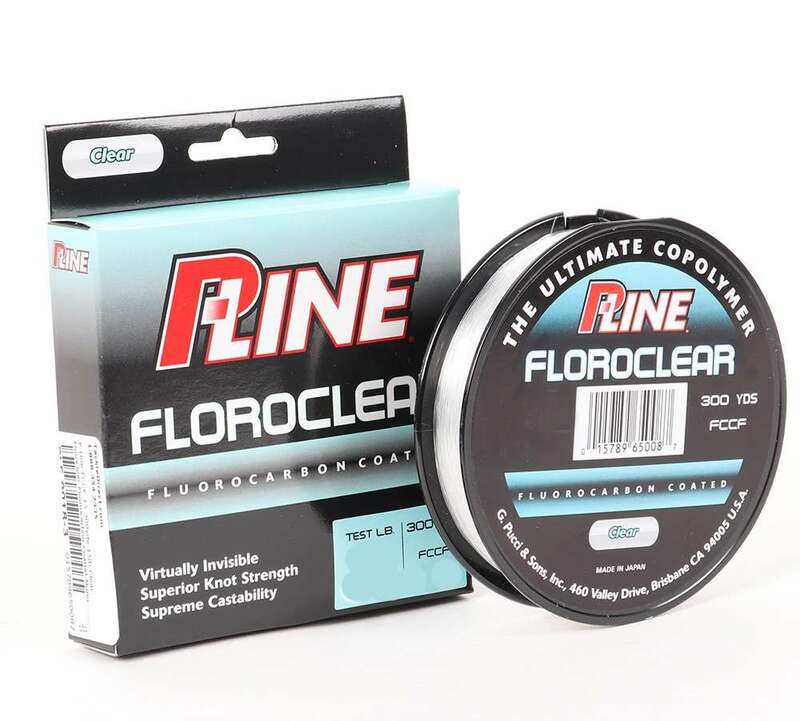 Since it is not a true 100% fluorocarbon line, Floroclear provides for incredible knot strength and castability over traditional fluorocarbon lines due to its vastly reduced memory. 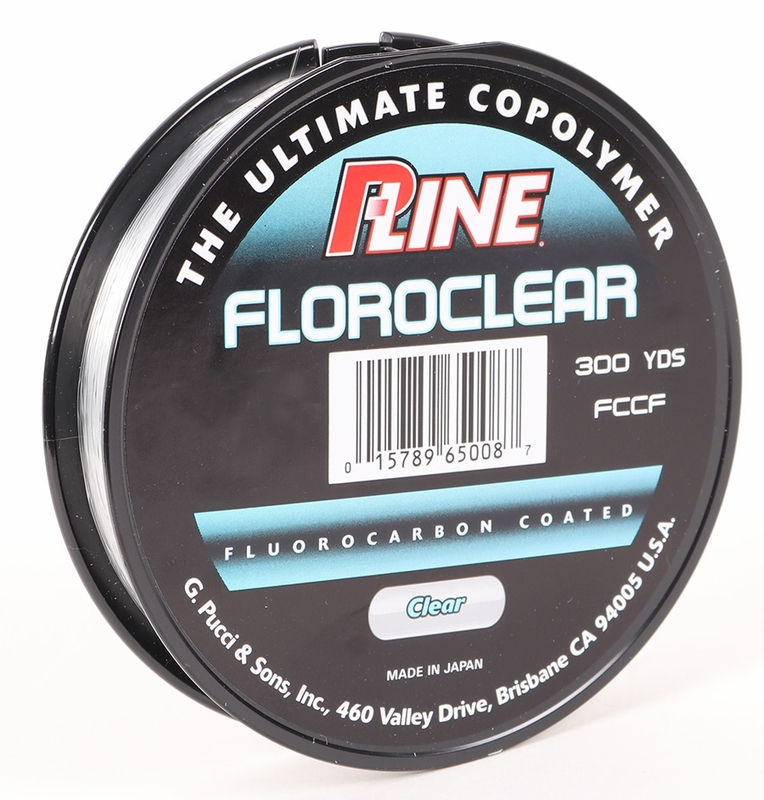 Great for both finesse techniques in freshwater for bass and inshore saltwater applications targeting striped bass, redfish, and more, P-Line Floroclear line casts beyond expectations. Been using this line for a while now (15 lbs) and have had zero issues. No issues with memory, no issues with break offs, none with knot strength, etc. What I don't know is whether this line actually casts farther as it is advertised. It is smooth coming off the reel. From experience, this line lasts longer than other flourocarbon coated line I have tried. It is the best one on the market. Stick with P-line!